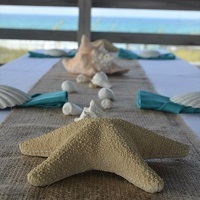 Large Sea Stars, Large Conchs, or Large Shells for your Table. *Includes Single Shell Only. Additional Décor pictured must be requested separately.